The ARTstor digital library is a subscription based database of over 1.6 million digital images in the arts, architecture, humanities, and sciences. It also includes an accessible suite of software tools for teaching and research, such as the ability to save images into groups, export them to powerpoint, save image citations, and add personal or instructor notes. Content in ARTstor is comprised of contributions from international museums, photographers, libraries, scholars, photo archives, and artists and artists’ estates. Including…the University of Illinois Urbana-Champaign! The University Library has contributed over 3,700 images from its digital collections, including collections such as the Portraits of Actors and the Motley Collection of Theatre and Costume Design. Images in the library’s digital collections are sources from its own collections, including material from the Rare Book and Manuscript Library. 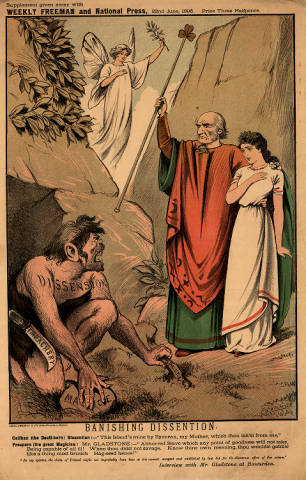 The most popular image from the University Library’s collection in ARTstor is “Banishing Dissention,” from the Collins Collection of Irish Political Cartoons. Over thirty institutions have accessed this image for use in scholarship. Or, just to enjoy its subtle nuances. If you or your department is interested in learning more about ARTstor or Shared Shelf, please contact Sarah Christensen, Visual Resources Curator. If you use images from the ARTstor digital library to teach, you might already be familiar with the export to Powerpoint tool. 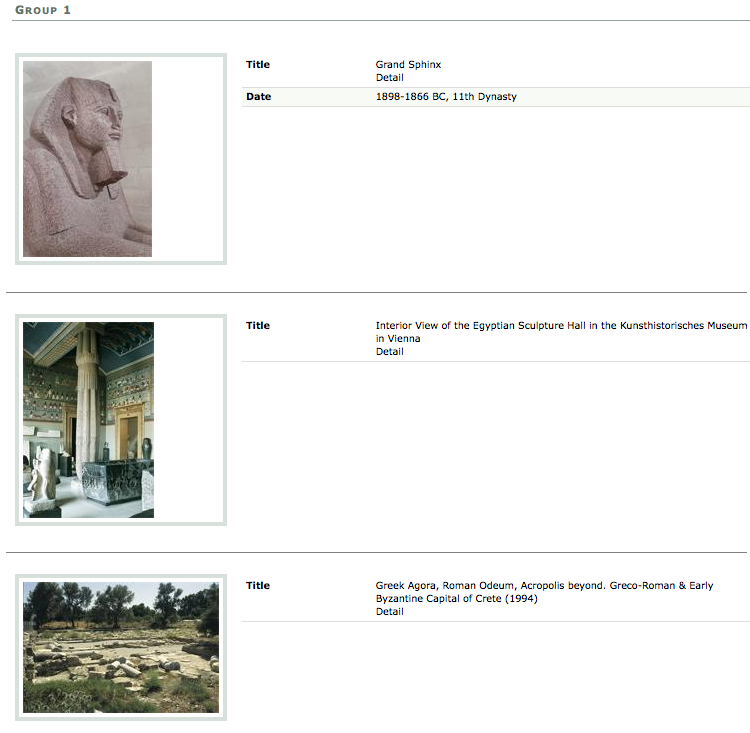 Recently, ARTstor has added another tool to help users utilize images from its database. The image group download tool allows users to batch download images organized into image groups, rather than downloading images one at a time. For reference, ARTstor has created an instructional video with step-by-step instructions. 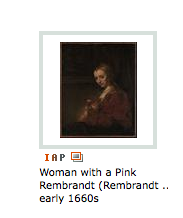 For those of you who are frequent fliers at ARTstor.org, you may have noticed a few new features recently. If not, don’t fret: you can read about it here. One of my personal wishes that has just now come true is the ability to choose the number of results displayed per page. feature, where one hover over an image and a slightly larger version of that image will appear. This will help you save time, as it eliminates the need to open the image in the image viewer in order to preview it. In terms of image organization, users can now create descriptions of image groups, nest folders, and create folders while creating image groups (instructor level users only). The links will take you to ARTstor’s help section, where these features are explained in detail. ARTstor’s help section is a great place to learn about the different tools and features within the database, so feel free to peruse while you’re there! Formerly available only to the faculty and students of the UI Architecture Department, the University Library has purchased a campus wide subscription for Archivision. The Archivision Digital Research Library is currently comprised of 47,000 images of architecture, archaeological sites, gardens, parks and works of art with broad appeal in humanities teaching. Digital images in Archivision offers a mix of historic and contemporary material. This great resource is now available to anyone affiliated with the University of Illinois’ Urbana and Chicago campuses. Go to http://www.artstor.org/index.shtml and click the “Go” button to enter the ARTstor Digital Library. 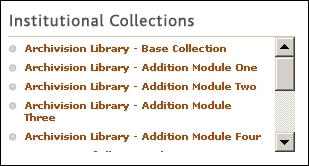 ARTstor will recognize your UI affiliation and you will see a drop down menu in the center column of the page called Institutional Collections. You can access the base module of Archivision or any of the additional five Archivision modules from this menu. All 1,000,000+ images from the ARTstor Digital Library are now accessible through iPad, iPhone, and the iPod Touch to registered ARTstor users. ARTstor Mobile provides read-only features such as searching, browsing, zooming, and viewing saved image groups. Also try the new Flashcard View, which allows you to test your knowledge by viewing the image without textual information, and then flipping the image to reveal the image record. There’s no need to download special software, just go to http://library.artstor.org from your mobile device. ARTstor Mobile is only available through the Safari browser. Click here for more information. If you’ve been searching for images in ARTstor this morning, you may have noticed that there are now a few extra options to filter your search results page. Click on the tab that says “narrow your results,” and a column will appear on the left side of your screen with classification and geography filters. In addition, a time line will appear at the top of your screen where you can slide the markers to specify an earliest date and a latest date. While these filtering options are available already in the “advanced search” feature, this new interface will help to streamline the simple, quick searches that users utilize most often. ARTstor is collaborating with the University Library at the University of Illinois at Urbana-Champaign to share approximately 9,100 images from a variety of special collections in the ARTstor Digital Library. The collection in ARTstor will consist of images digitized from visual materials held in the University Library, which are relevant to a variety of fields, including Irish political history, theater and costume history, and campus architecture and design. The University Library’s Rare Book & Manuscript Library is the principal repository for early manuscripts and rare books, including three special collections that will be shared in the ARTstor Digital Library. The Collins Collection of Irish Political Cartoons consists of approximately 70 images relating to the political history of Ireland from the late 19th century to the early 20th century; Portraits of Actors, 1720-1920 features nearly 3,500 images of actors and actresses, including studio portraits, images of actors in costume, and illustrations of actors in performance; and the Motley Collection of Theater and Costume Design consists of approximately 5,300 individual items relating to more than 150 stage productions designed by the Motley Group between 1932 and 1976, including costume and set designs, sketches, notes, photographs, prop lists, storyboards, and swatches of fabric. The University Library will also share its Built Environment Collection, approximately 250 images of primary source materials related to the development of the campus of the University of Illinois at Urbana-Champaign. For more detailed information about this collection, visit the University Library (Illinois at Urbana-Champaign) collection page in ARTstor. Spending hours making flashcards for exams? Why not let ARTstor do the work for you. Below are step-by-step instructions on how to do this. 1. Register for an ARTstor account and login. If you don’t know how to register for an account, watch this video. 2. 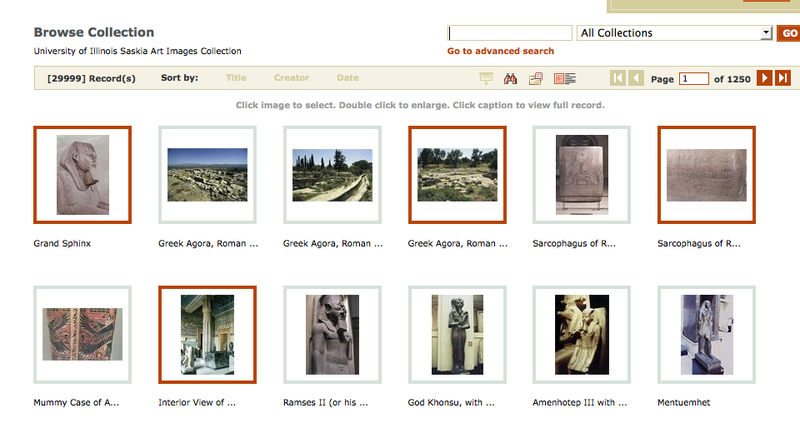 Once you are logged in, search for the images you’ll need to study. If your instructor posts their lecture images in ARTstor, find them by clicking on the “folders and image groups” link in the middle of the main page and scanning the list for your class. 3. 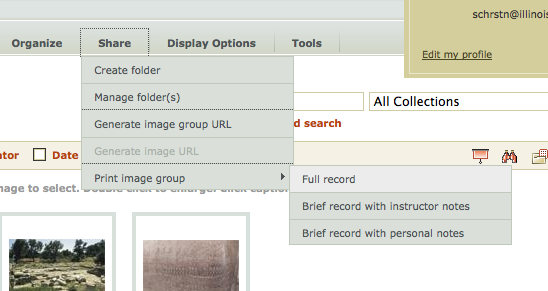 Once you’ve found the images you’ll need, select them by single clicking on each one. A red border will appear around the ones that you’ve selected. To deselect, single click on the image again so that the border goes away. 4. Once your images are selected, go to the organize menu at the top of the page and go to “save selected images to…” Here you can either create a new image group, or add images to an existing image group. 5. When the pop-up screen appears to ask you where you want to save your image group, make sure your work group is highlighted. 7. Now that you’ve opened your image group, go to the share menu at the top of the page and click on “print image group.” You’ll have your choice of how much information you want on your flashcards. 8. Once you make your selection, a new window will pop up displaying your flash cards. Here, you can print them out. Make sure that your pop-up windows are disabled when using ARTstor. The University of Illinois Library and the College of Fine and Applied Arts have partnered with ARTstor, the Society of Architectural Historians and seven other colleges and universities on a new initiative called “Shared Shelf” to support the use of digital images in teaching, learning, and research. The other institutional partners include Colby College, Cornell University, Harvard University, Middlebury College, New York University, University of Miami, and Yale University. The project intends to make it practical for institutions to combine images created by individuals, those held by the institution, and those in ARTstor’s database—and to do so without the need for local on-site infrastructure and storage. Shared Shelf’s functionality will support the ingest, description, retrieval, and display of images, and enable libraries and scholars at participating institutions to share those images across their own campuses, with other Shared Shelf institutions, and with geographically distributed groups of scholars. Images are accessed by users through ARTstor’s search and discovery environment, which makes it easy to find, collect, save, share, and send digital images. Individual users will also be able to submit image content from personal collections to institutional collections in ARTstor. UI librarians and faculty and staff from FAA and the History Department are currently testing the first beta release of the Shared Shelf software. The final release of the software is expected in summer 2011. Click here for more information about this initiative. ARTstor–Not just for the art department! The University of Illinois’s subscription to ARTstor, a nonprofit digital library of more than one million images, serves users in a wide variety of subject areas, including art, architecture, music, religion, anthropology, literature, world history, American Studies, Asian Studies, Classical Studies, Medieval Studies, Renaissance Studies, History of Medicine, and more. You can view a complete list of subjects, and download subject guides in PDF format here. ARTstor authenticates users by their IP (Internet Protocol) addresses when you enter from a campus computer. 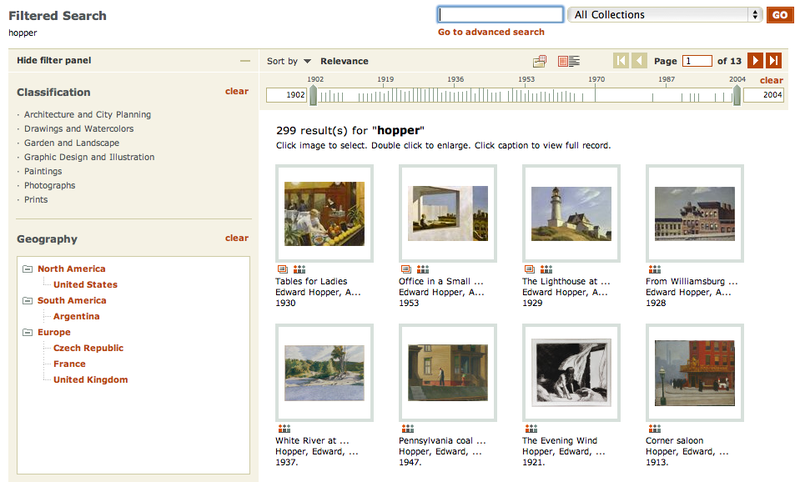 If you access ARTstor for the first time from your home computer, start with a search for “ARTstor” at the Online Research Resources page on the Library’s website. You will then be directed through the proxy server and prompted to enter your University NETID and password. Once in ARTstor, sign up for a Registered User account. Recently the University Library had ARTstor load the Saskia Image Collection into our institutional collections area of ARTstor. We have access to this wonderful resource through our membership in the CARLI Consortium. You will find the Saskia collection listed under “Institutional Collections” when you first enter ARTstor. The collection contains 30,000 digital imagesof paintings, sculpture and architecture, including images from many important collections: ThePrado, the Kunsthistorisches Museum, the Uffizi, and the Louve as well as archaeological sites in Greece, Italy, Turkey and Egype. The images can be displayed and downloaded in high-resolution format. Additionally, the descriptive data about the images includes references to the occurrences of these images in 19 major art history texts, including Garner’s Art Through the Ages, 12th edition; Understanding Art, 7th edition; Art and Ideas, 10th edition; and Discovering Art History, 4th edition.